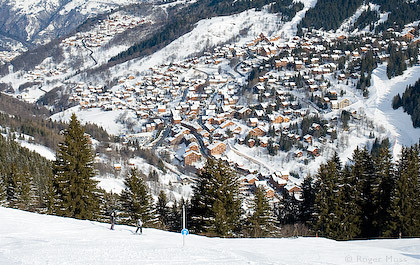 Access to the vast 3 Valleys ski area. 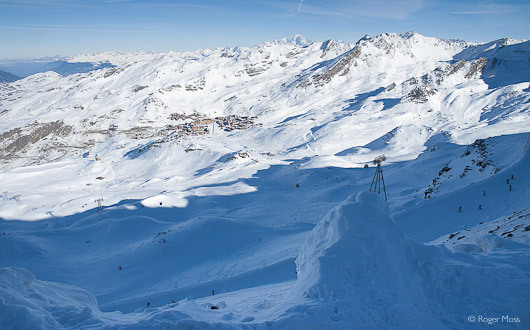 In theory you could ski the entire 3 Valleys from here. 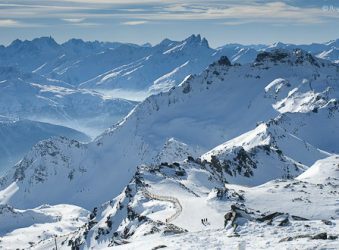 The vast area offers close-to-limitless skiing for just about all levels, but only the fittest are likely to make it all the way from here to the furthest corners. 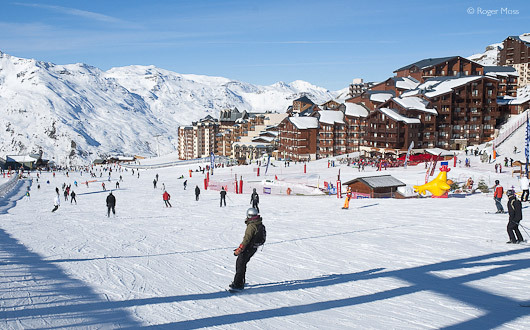 But even if you don’t make it beyond Val Thorens you’ll still have plenty of entertainment, including long blue- and red-graded scenic cruises for intermediates. Even closer to home, Orelle’s very own terrain is easily overlooked in the desire to press on, a pity as it has an unpressured feel, some great scenery and a few surprises for anyone expecting it all to be tame. The only downside is that all the skiing on this side of the 3V is above the tree-line, so it pays to keep a wary eye on weather conditions - and forecasts, if you’re planning on returning to Orelle (which, officially at least, is only possible via the gondola). High winds mean it’s time to head down while you still can. 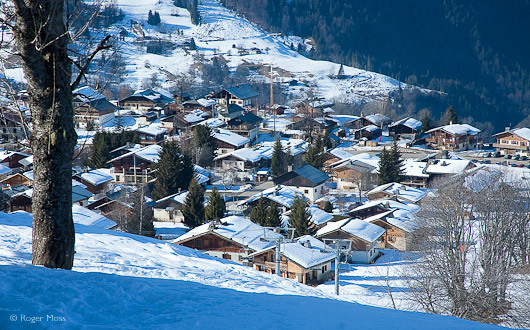 Most accommodation at Orelle is in a relatively recently established tourism residence. 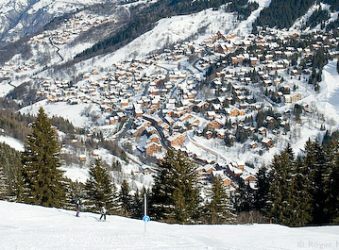 The key to Orelle is in its accessibility, proximity to the autoroute and Modane's railway station. 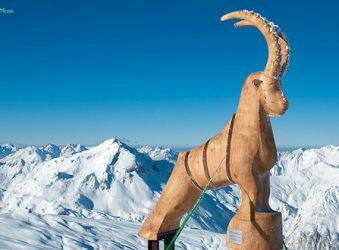 Why go skiing in Orelle - Val Thorens ? 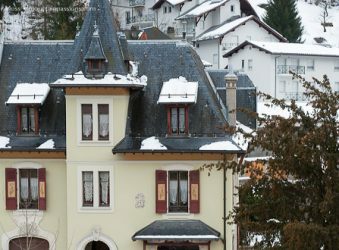 10 adapted apartments in the Hameau des Eaux d'Orelle. 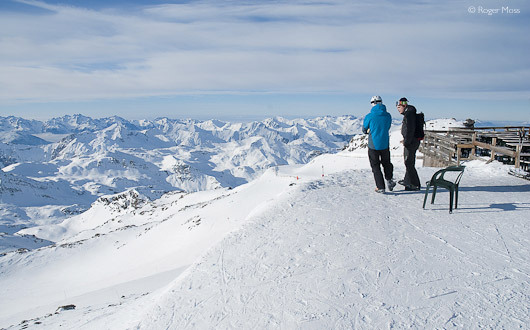 Enjoy the fabulous 3V skiing - but don't overlook the Orelle sector's own worthwhile ski terrain. Onsite there's a mini-market for essential supplies and fresh daily bread plus a bar / restaurant where you can access free WiFi. We found the restaurant and its menu disappointing, and would prefer to make the short drive into St Michel (5 minutes) or Modane (10 minutes) for more choice. There's a spa centre which is very popular in the evenings, with heated indoor pool, sauna, Jacuzzi, steam room and a relaxing area with sun loungers. Massage and beauty treatments are available at a supplement. 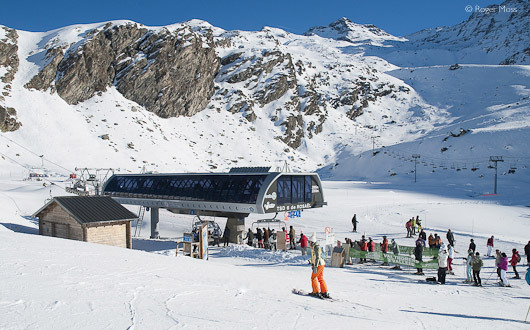 To ski, there's a shuttle which runs every 15 minutes down to the nearby 3 Valleys Express gondola. If you prefer to drive, there is ample free parking close by. 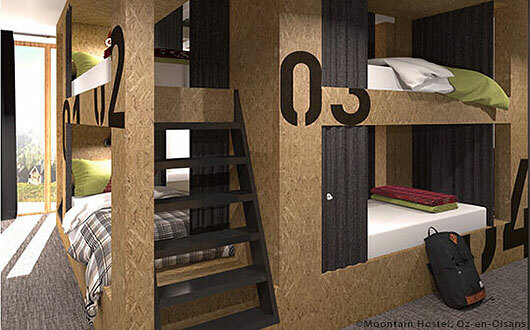 Stay in the Club Med at Orelle - Val Thorens and you'll get a package that incudes skiing and snowboarding lessons, a lift pass, plus a wide range of food served throughout the day, as well as Kid’s Clubs, evening activities and more. 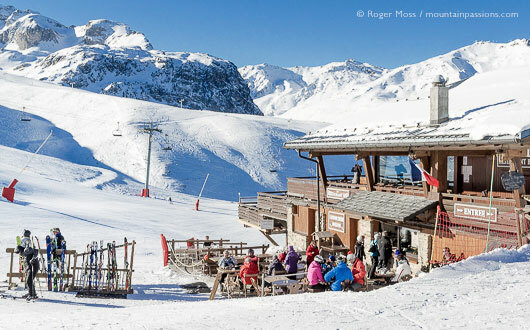 One of our favourite slopeside restaurants, with a retro-chic dairy ambiance. Dine inside in a bright, airy room with views or soak up the sun on a large terrace while enjoying a varied, fresh menu with daily specials. Impeccable service from friendly staff and a great atmosphere, so reservations are essential at busy periods. We enjoyed the plat-du-jour: Féra (mountain lake fish) with rice and spinach and a delicious raspberry sauce (price €19) followed by truly sublime desserts. 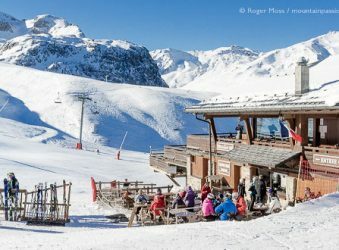 There's also a self-serve called La Folie Douce which does a great trade in creatively-presented dishes including spaghetti bolognaise and panini. The nearest airports are Chambéry Savoie Mont Blanc and Turin, both about 100kms distance. From Turin you can arrange a private transfer from the airport (best for small groups) or hire a car though be sure to factor in the cost of the Fréjus tunnel and the autoroute toll. 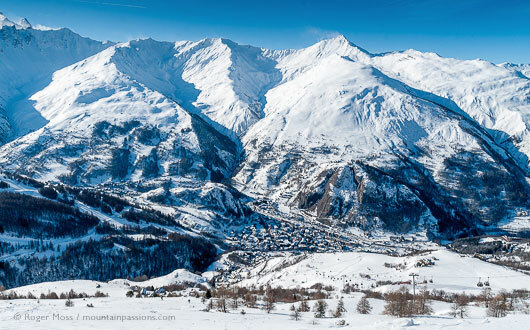 From Chambéry Savoie Mont Blanc, there are regular trains to Modane where you can get a taxi to Orelle or there is a seasonal shuttle service for around 25€ per person - see the Orelle website for details and booking. It's just a 4hr high speed train journey from Paris to the TGV stations at St Michel Valloire or Modane. The Paris-Milan train is direct, alternatively, you can change at Chambéry for connections. Saturdays during the season there are shuttle services from the stations or you can get a taxi. We’ve driven past Orelle countless times over the years while en-route to other areas. Eventually, though, the image of the Three Valleys Express gondola lift looming high above the roadside proved just too much to resist, so this time we’re back to ride it and find out what we’ve been missing. As we peel off the road from Modane in the chill of dusk the first thing we discover is that it takes surprisingly little time before our accommodation comes into view just above the village. After checking into the Hameau des Eaux d’Orelle we garage the car and transfer ourselves and our luggage to a snug apartment with a view we’ll have to wait until the following morning to see. …we head up the mountain on an epic haul of more than 5km, gazing expectantly at the craggy terrain above with no idea until the very last minute of what awaits us. 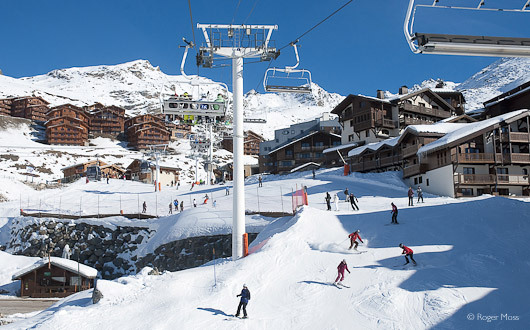 Rapid access via the Trois Vallées Express to the Orelle sector. 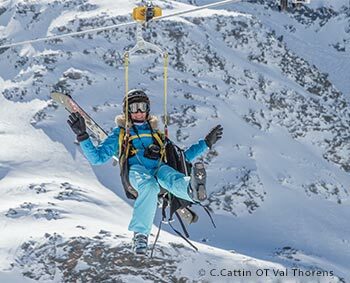 It's just a short hop to the link lift to Val Thorens from the top of the gondola. Plenty of room for everyone as skiers descend to the main lifts. Be prepared for a few surpises skiing through the heart of the ski village. Later we’ll get a lot closer, but first we take the impressive Péclet funitel lift for a scenic ride up to the famous Glacier de Péclet at 2945m. At the top there’s the option of a run down to a chairlift for a haul up to a single black-graded piste called, not surprisingly, Glacier. Given more time and softer conditions we’d do just that but for now we stop to take in the scenery spread around us before skiing back down to the village on the long, red-graded Béranger. One day, though, we’ll return to try the four or more alternative runs we have to skip for now, since we sense lunchtime approaching. The first tantalising glimpse of distant Val Thorens, from the 3000m Col de Rosaël. The half-dozen or so runs don’t look much on the piste-map, but then maps can’t get across the sense of being there, and this is one place which makes a compelling case for the notion that sometimes less really is more. 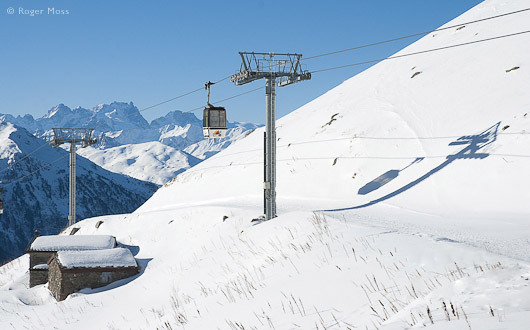 For example, the Bouchet chairlift will haul you all the way to 3230m – the highest lift-accessible summit in the whole of the Trois-Vallées – from which you can ski very nearly 1000m of vertical drop back to the gondola. Deciding that our hard-working legs really might not be up to it, we satisfy ourselves for now with half that figure, on a run down the blue-graded Peyron piste, while the sun sinks languidly into the gathering late-afternoon haze.